USA: Hemoglobin A1c also called A1c or glycated hemoglobin is a blood test used widely for the diagnosis of diabetes. However, a recent study presented at The Endocrine Society’s annual meeting in New Orleans has found that the test is highly unreliable and has a tendency to underestimate the prevalence of the disease. The test evaluates the average amount of glucose in the blood over the last 2 to 3 months by measuring the percentage of glycated hemoglobin in the blood. 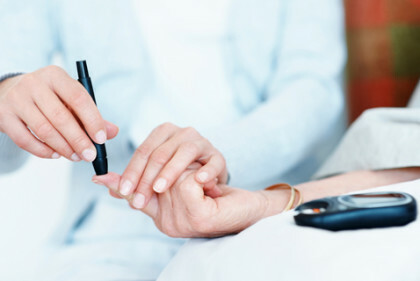 Diabetic people undergo this test to determine whether one at increased risk of developing diabetes, also helps to diagnose diabetes and prediabetes; and monitor diabetes. The HbA1c test requires no testing preparation. The research team analyzed data from 9,000 adults from the 2005-2014 National Health and Nutrition Examination Survey who did not have a diagnosis of diabetes. When compared to the oral glucose tolerance test (OGTT), HbA1c will over-diagnose glucose tolerance by 42% and under-diagnose diabetes in 73% of adults. These individuals would miss the opportunity for early intervention. For diagnosing diabetes, hemoglobin A1c had a sensitivity of 26.93% and specificity of 99.39%. For determining NGT, the test had a sensitivity of 84.91% and a specificity of 43.53%. The accuracy of hemoglobin A1c varied across by races and ethnicity. It had the highest sensitivity for diagnosing diabetes in non-Hispanic blacks (41.25%), followed by Mexican Americans (30.71%) and non-Hispanic whites (21.11%). The sensitivity of the test for diagnosing NGT was lowest in non-Hispanic blacks (71.79%), followed by Mexican Americans (86.69%) and non-Hispanic whites (89.40%). “Our results indicated that the prevalence of diabetes and normal glucose tolerance defined solely by A1c is highly unreliable, with a significant tendency for underestimation of the prevalence of diabetes and overestimation of normal glucose tolerance,” Chang Villacreses said. GHb is used or supposed to be used as a test to assess the glycemic status of the individual avoiding continual estimation of blood glucose. Extending the test for screening of individuals for glucose intolerance requires judicious use of blood glucose along with GHb. Therefore, GHb estimation is an adjunct test for diabetes though blood glucose and OGTT remain the standard tests for diabetes.